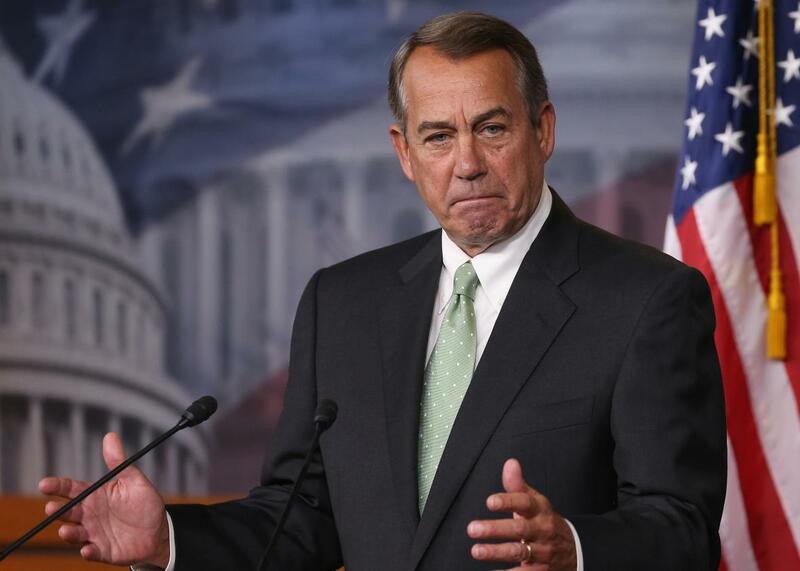 House Speaker John Boehner speaks to the media at the U.S. Capitol on May 21, 2015, in Washington, D.C. Outgoing House Speaker John Boehner sat down for his first Sunday talk show interview since announcing his resignation and likened the most conservative elements of the GOP to “false prophets.” He also vowed that the House would approve a government funding bill this week to avoid a government shutdown. The outgoing speaker pledged to try to “get as much finished as possible” before he steps down. “I don’t want to leave my successor a dirty barn,” Boehner said. “So I want to clean the barn up a little bit before the next person gets here.” And while Boehner answered with a clear “no” when asked whether there would be a government shutdown, he also said it will surely take Democratic votes in order to get a temporary funding extension approved. “I expect my Democrat colleagues want to keep the government open as much as I do,” he said.